The South Carolina Public Library History, 1930-1945 collection consists of photographs and documents from the archives of the SC State Library. 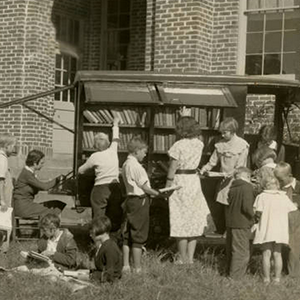 These digital images highlight public libraries, bookmobiles, librarians, and patrons from around the state. Many photographs and documents relate to the federal Works Project Administration (WPA) Library Project in South Carolina, which provided statewide library services from 1935 to 1943.